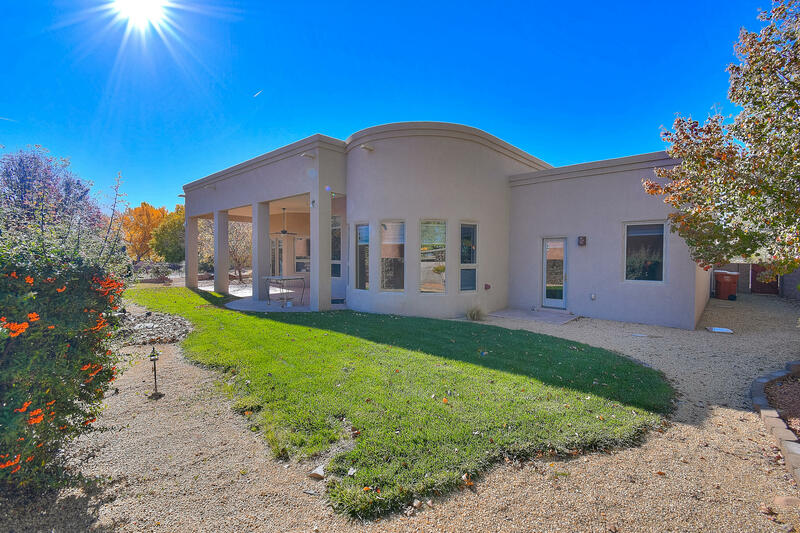 Beautiful home w/custom touches that boasts luxurious living. 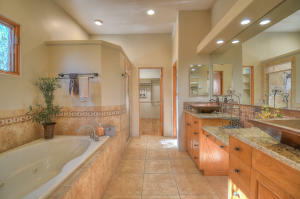 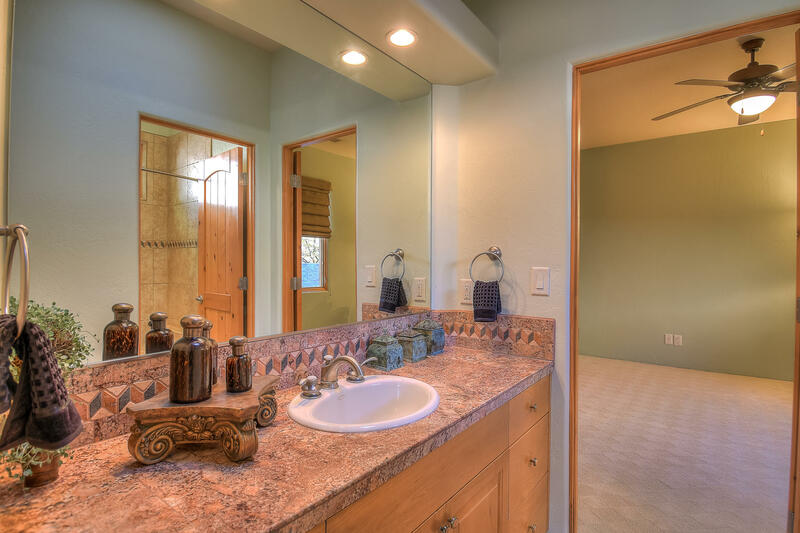 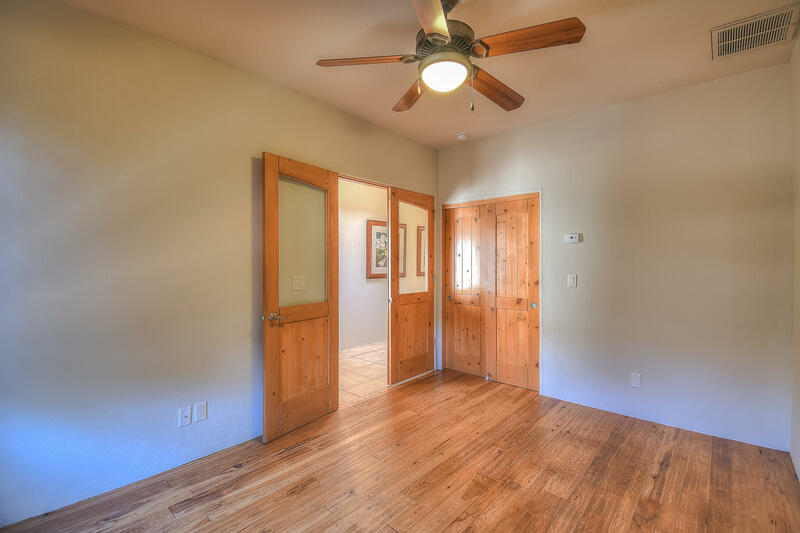 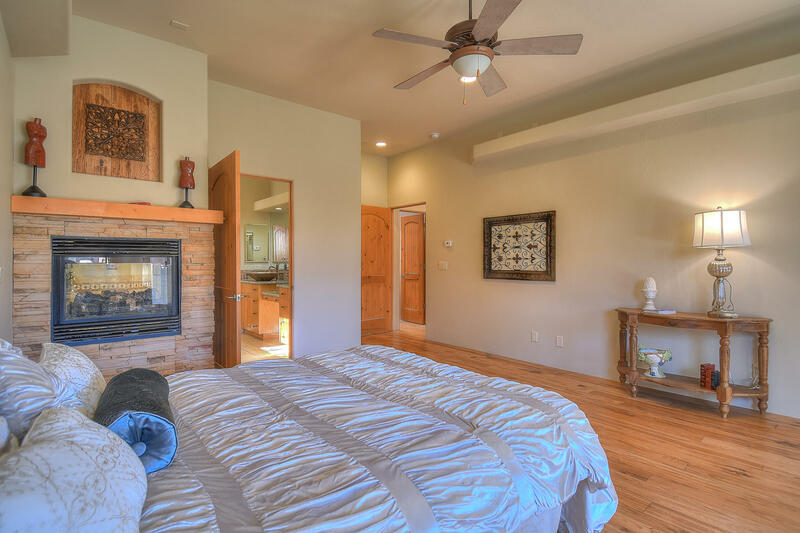 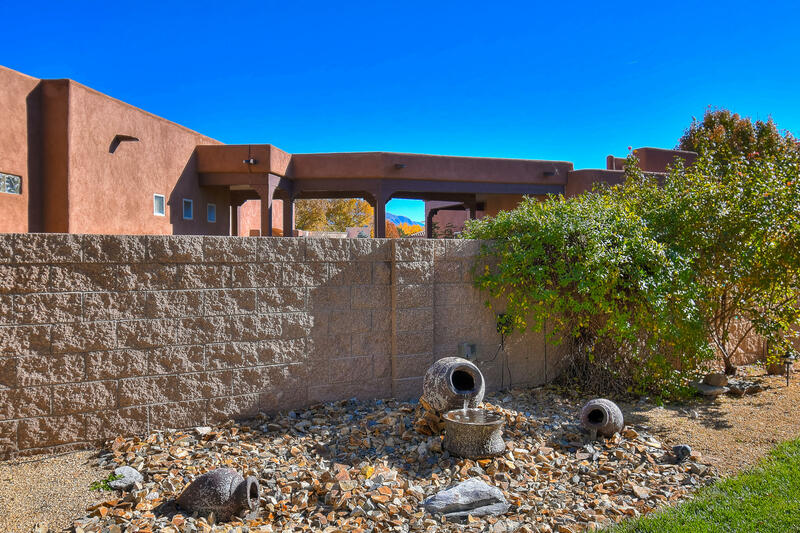 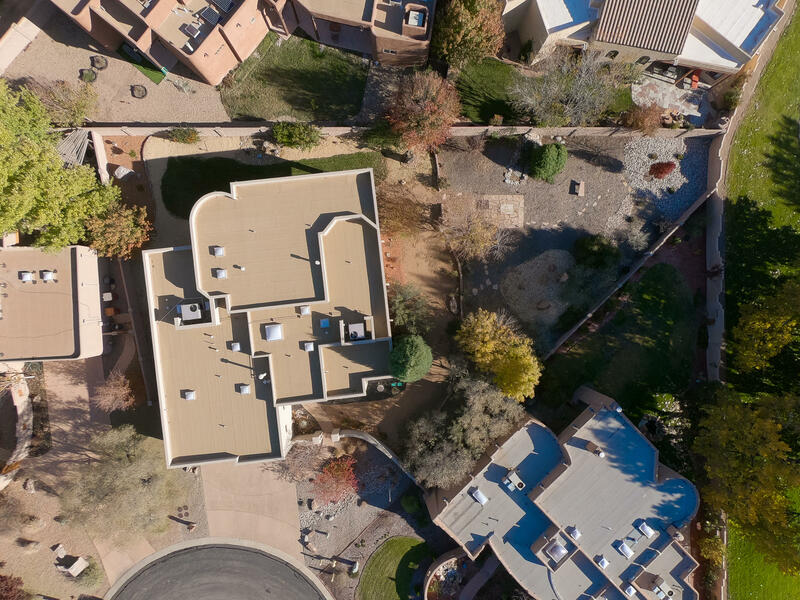 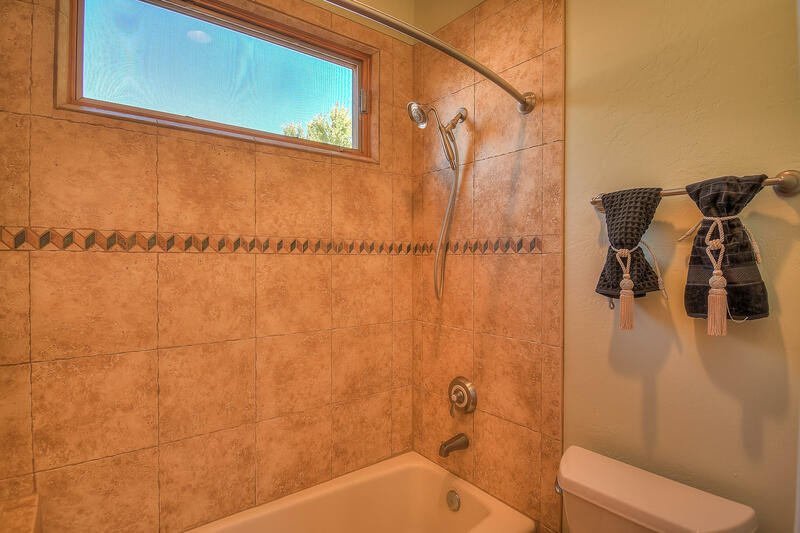 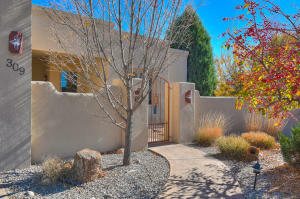 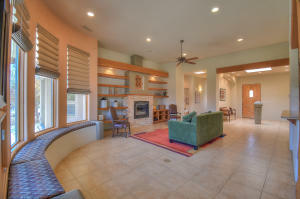 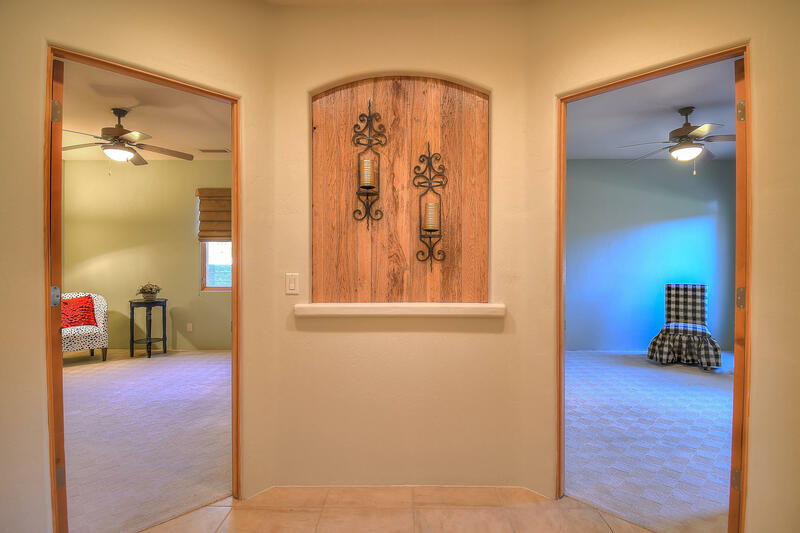 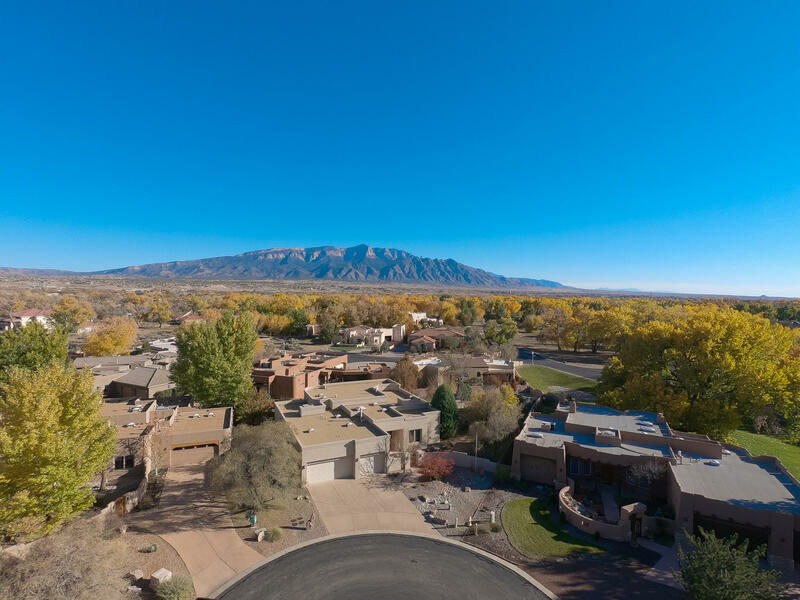 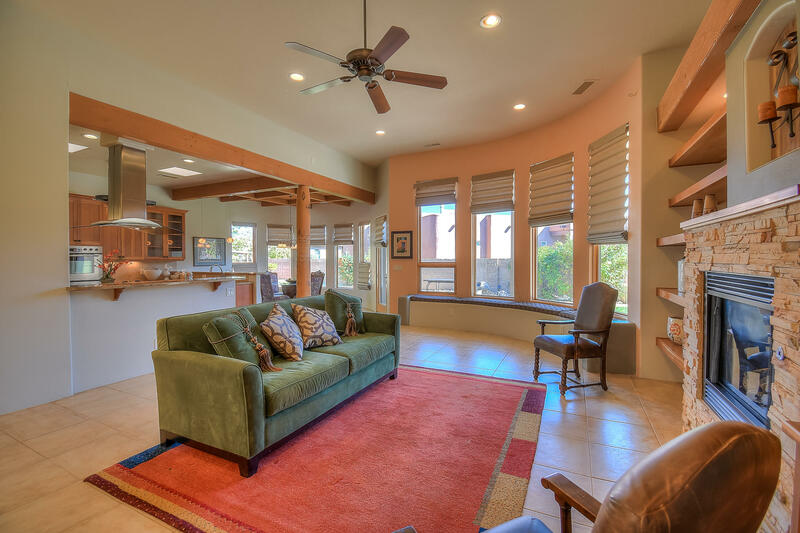 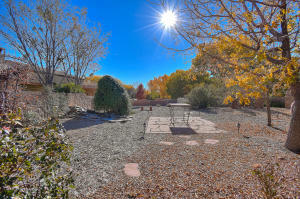 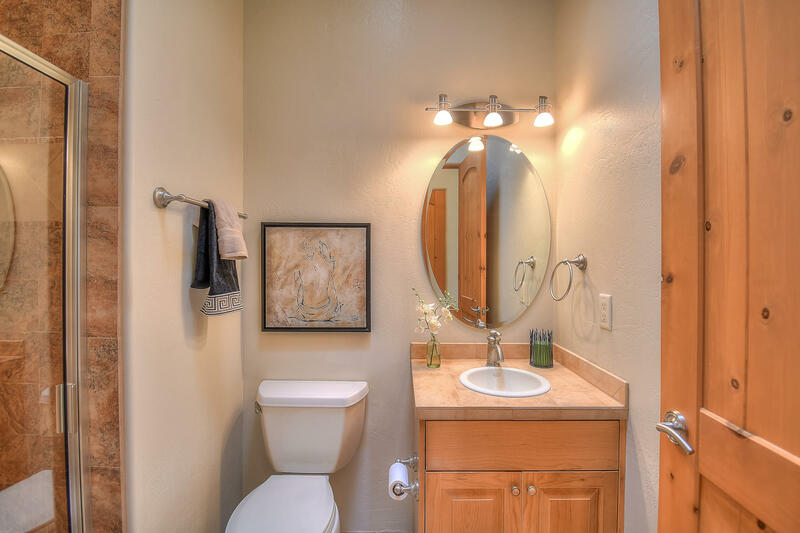 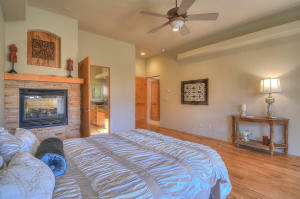 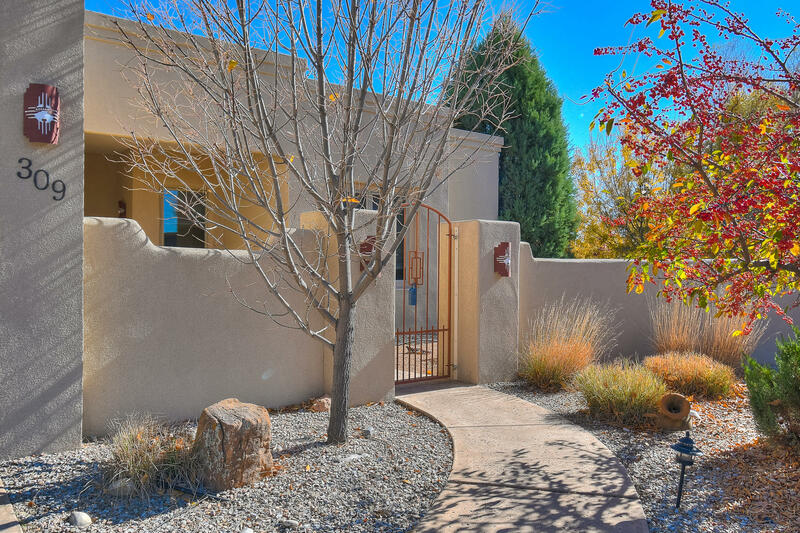 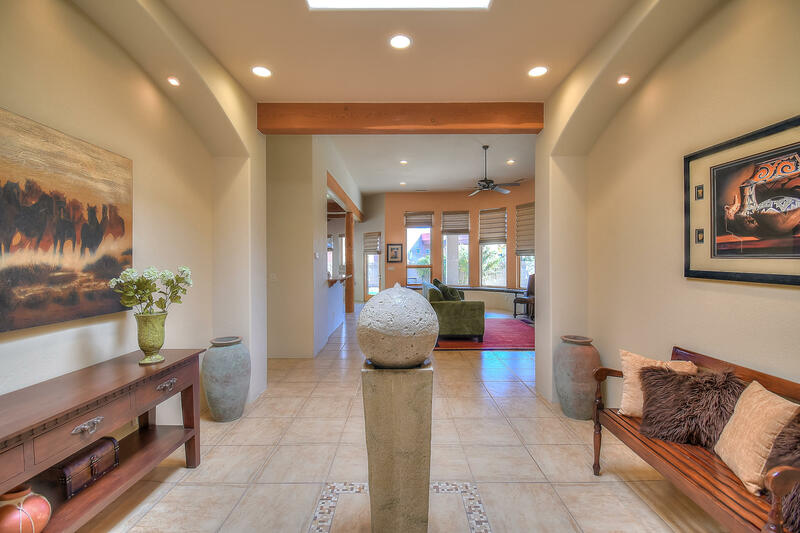 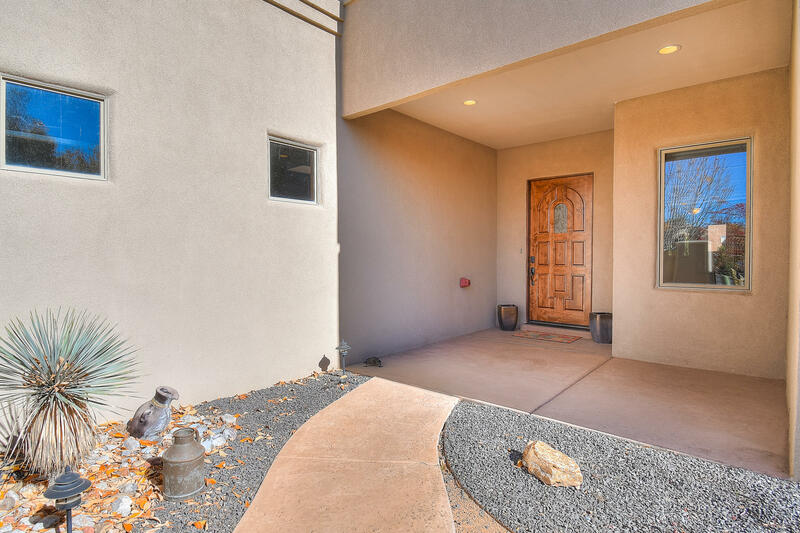 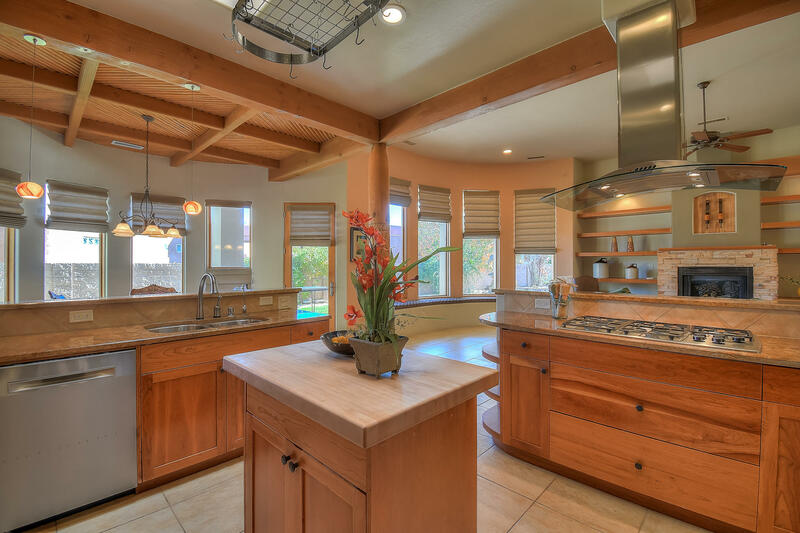 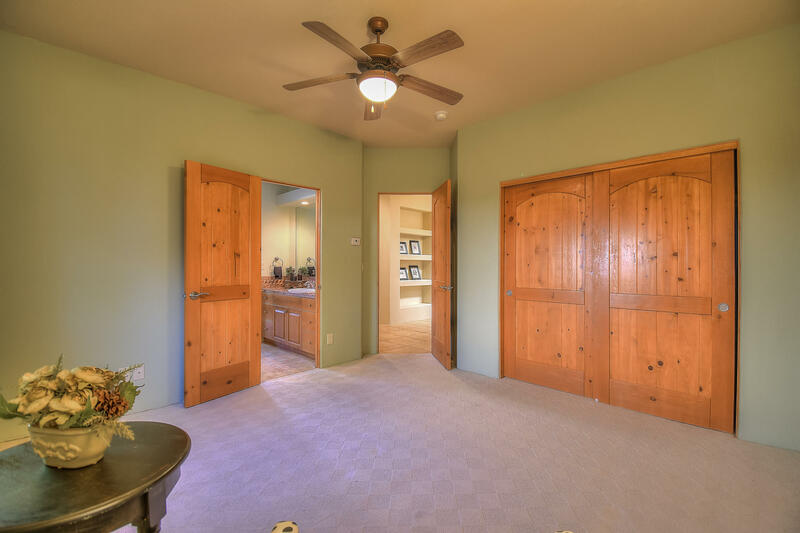 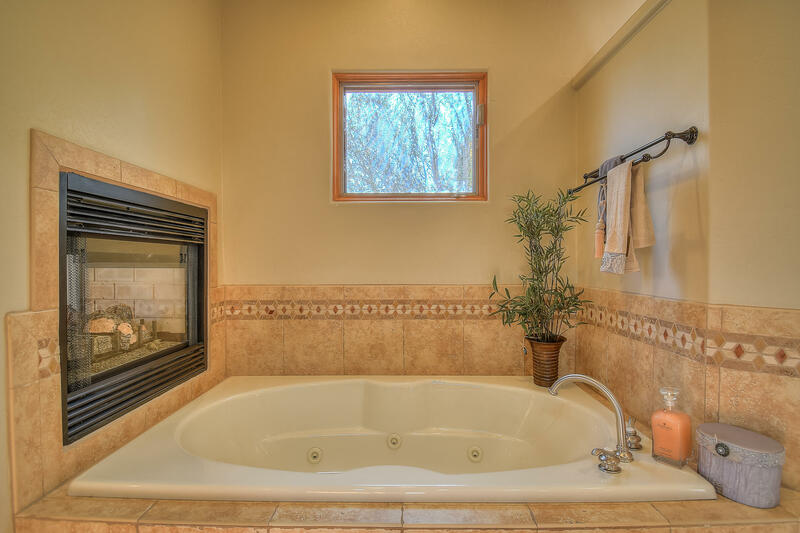 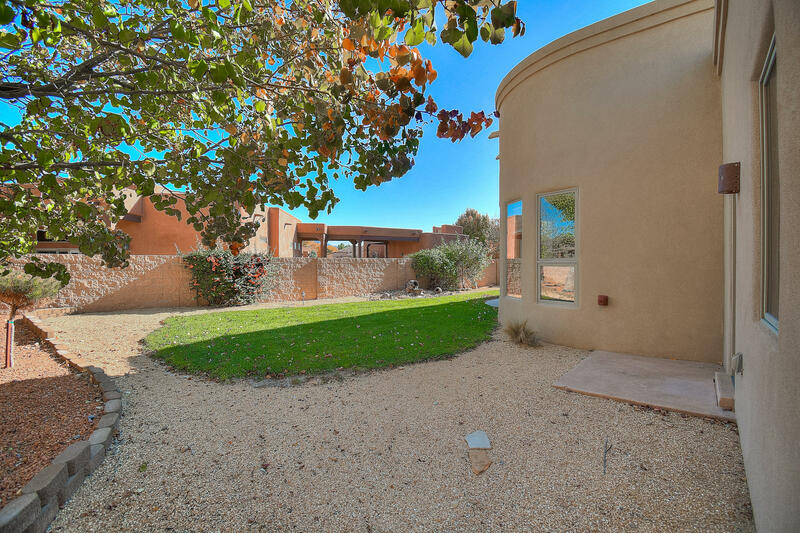 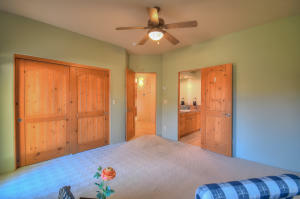 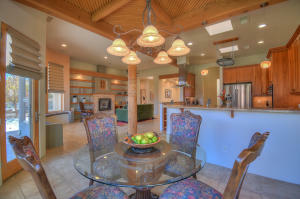 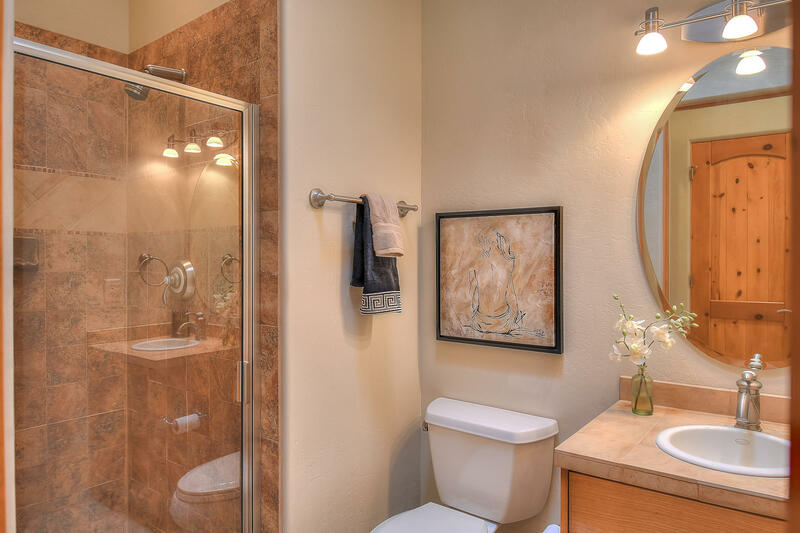 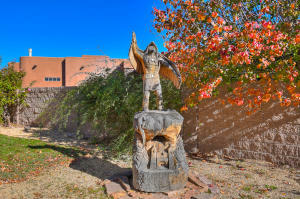 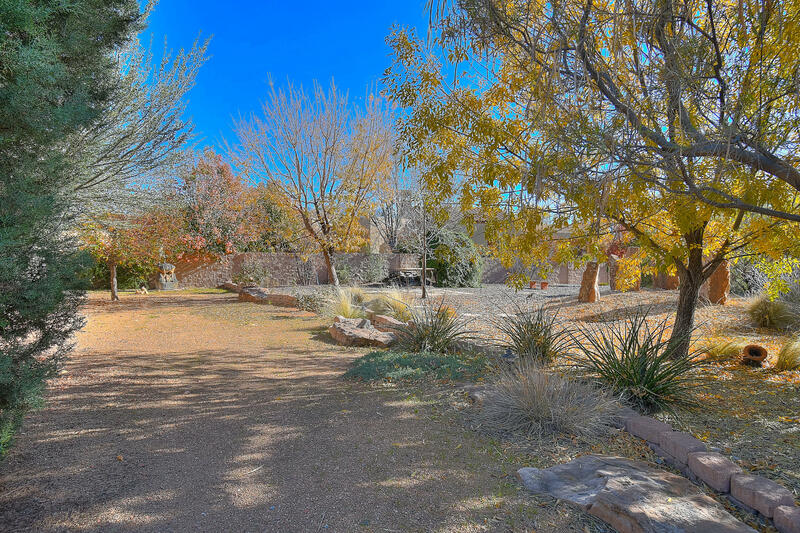 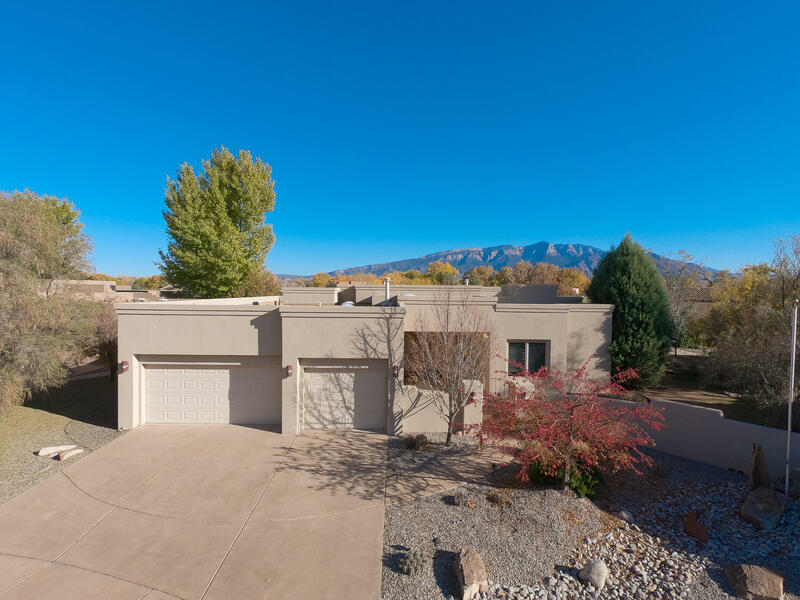 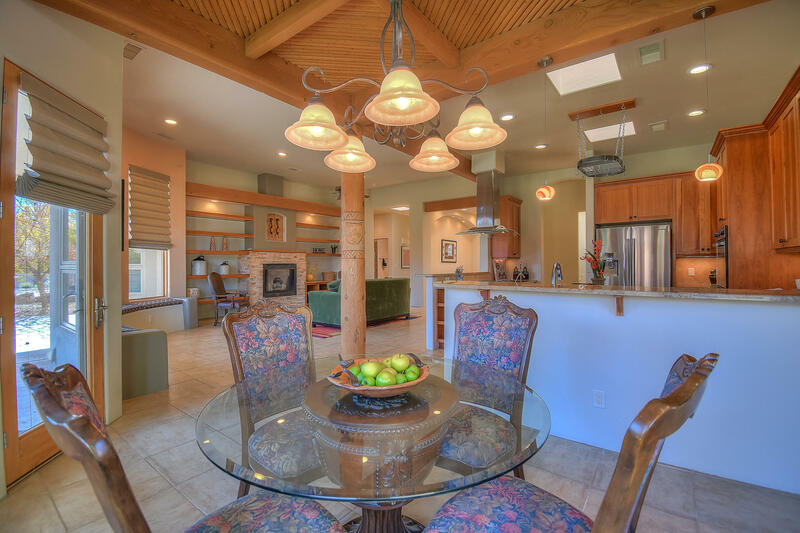 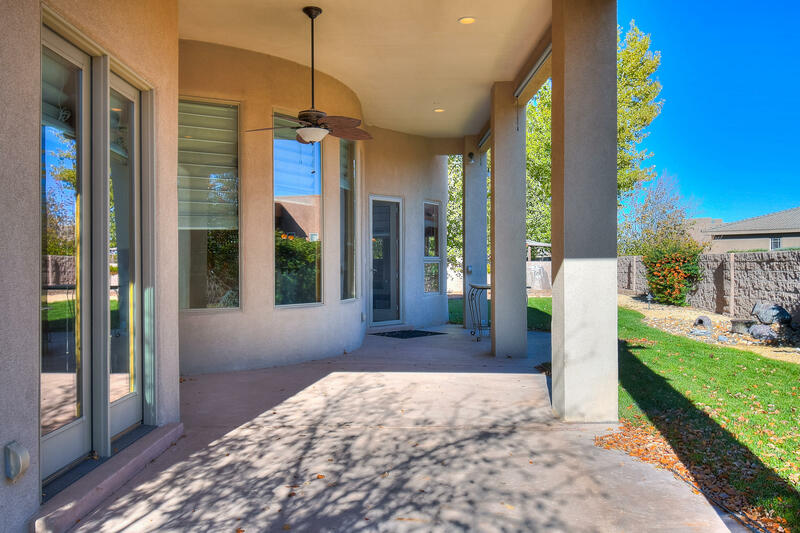 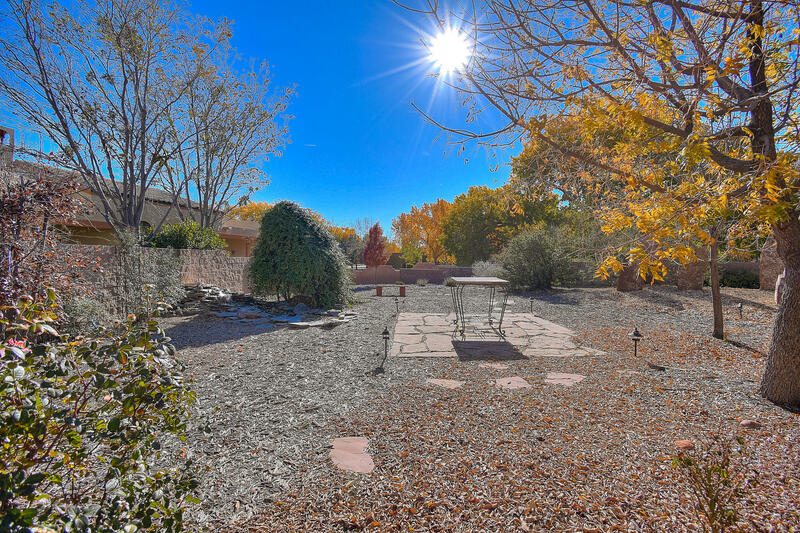 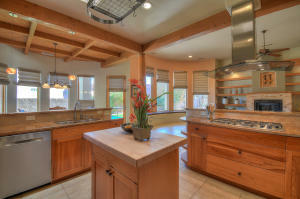 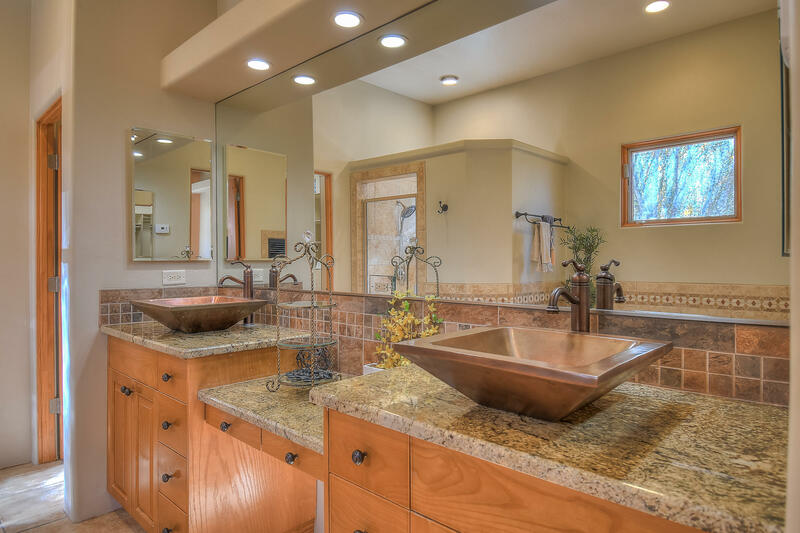 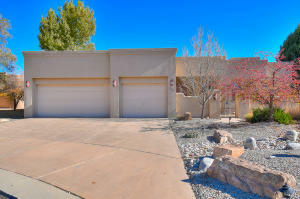 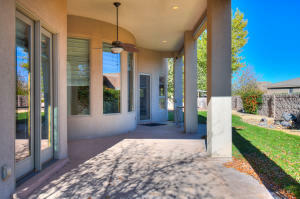 nestled in the beautiful gated community of Bosque Encantado! 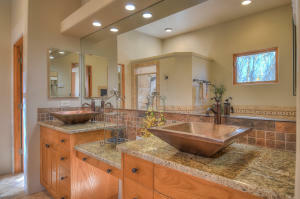 Front and bkyd fully custom landscaped, located at the end of a Cul-De-Sac on .36 acres nestled in a canopy of trees. 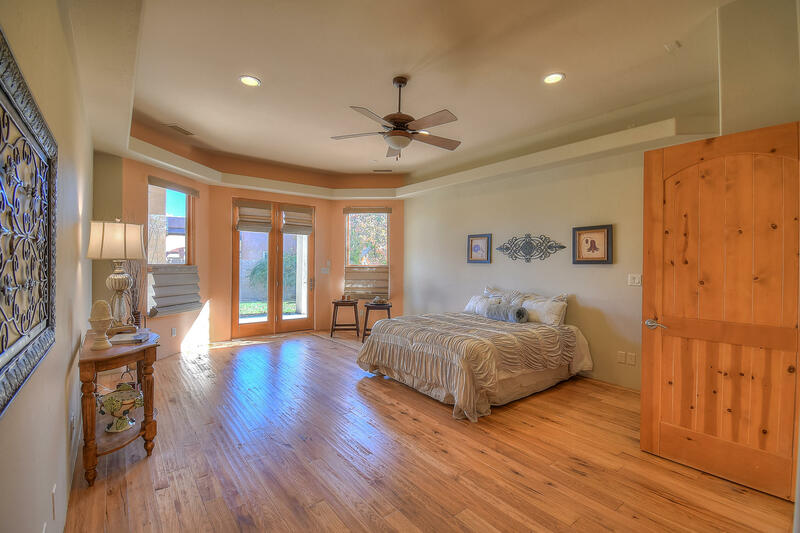 Custom lighting (home basks in natural light) New Roof, Custom carved Vigas, Radiant flooring, Hand Scraped Hickory floors, Instant hot water, wired for audio and visual, epoxy garage floor, util rm w/wtr softener, storage. 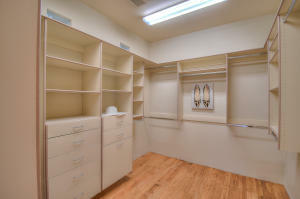 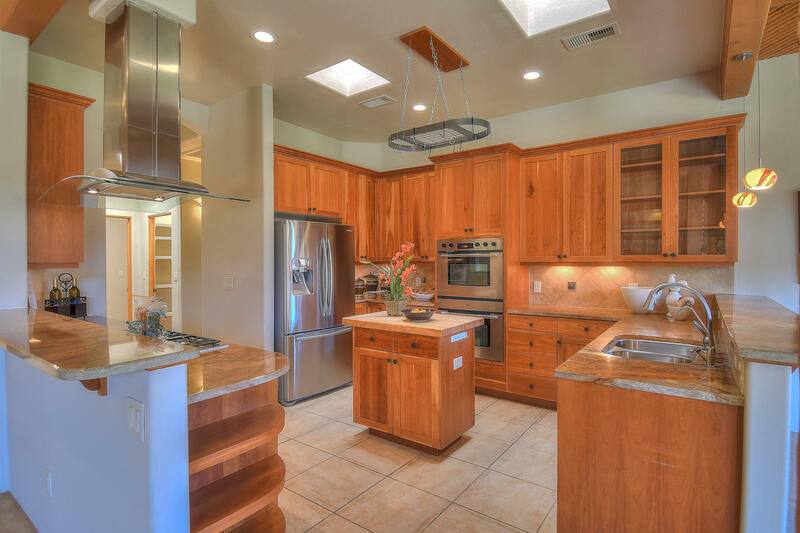 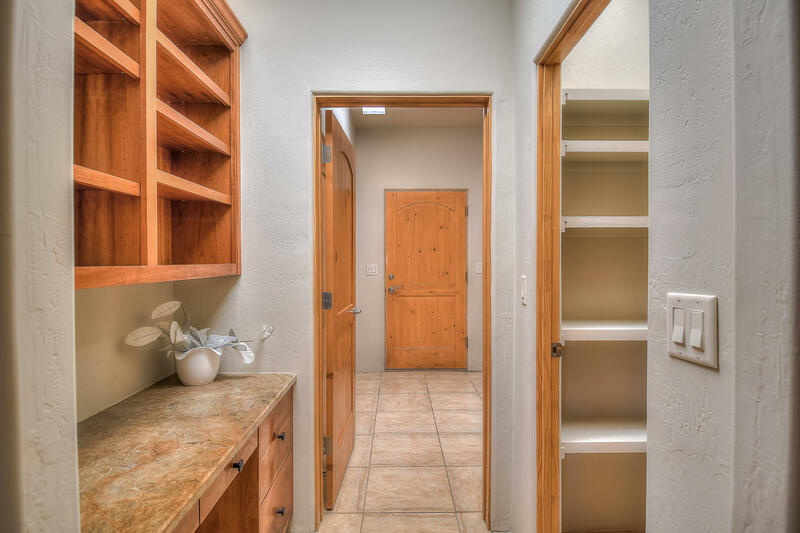 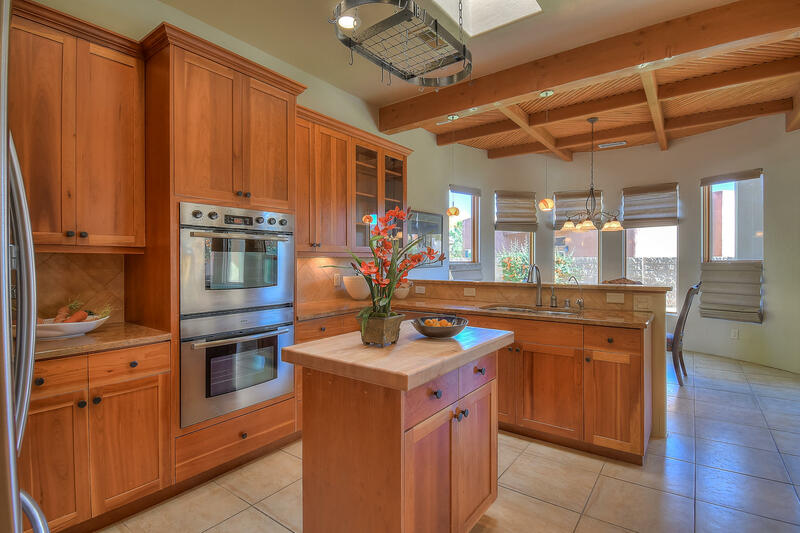 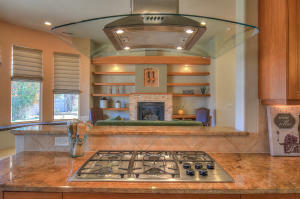 Gourmet Kitchen has Dbl Oven, Granite, 5 Burner Gas Cooktop, Wine Rack, Stainless appliances. Jack & Jill, Inlaw suite w/private entrance. Steps to the Rio Grande and only 15 min to Albuquerque. 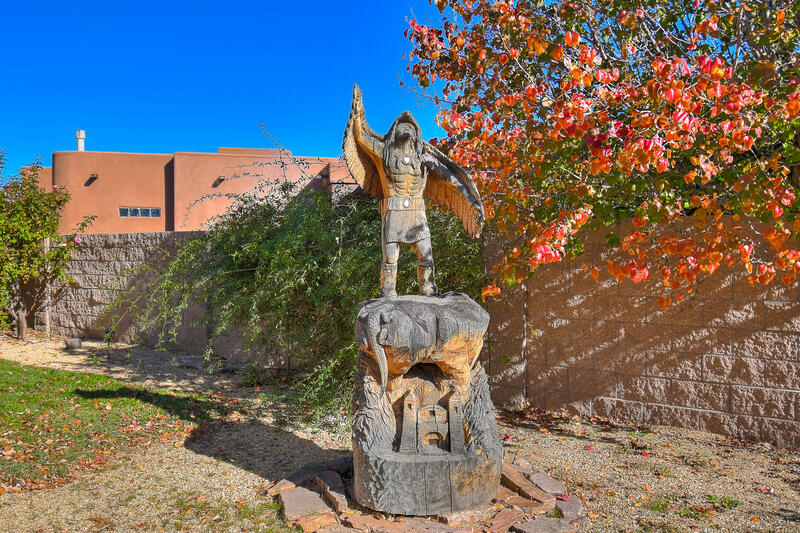 Directions: I-25 N To Exit 242 (Bernalillo/Placitas), W On Us 550 Just Past River, S On Sheriffs Posse Rd, to Bosque Encantado Main gate, Left at round about on Plaza Muchomas. 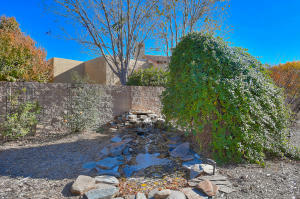 Located at end of Cul-de-sac Please call LA for gate code.